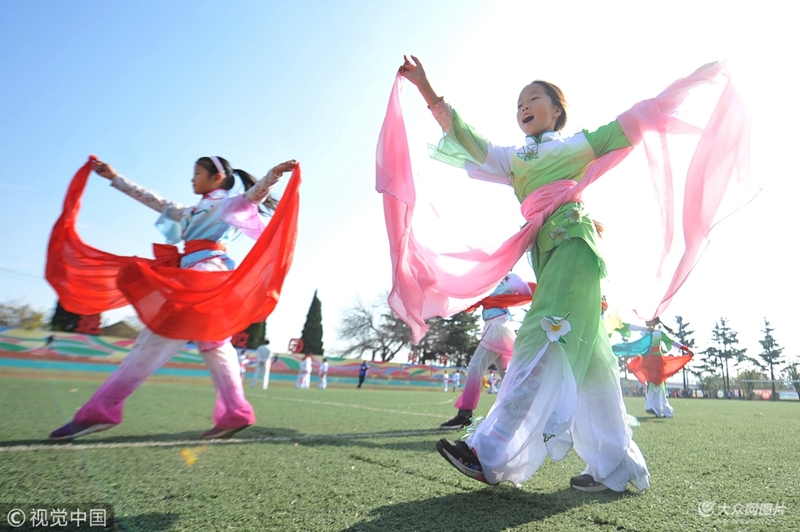 Students of the Zhengzhou Road Elementary School in Qingdao, Shandong province have been learning Yanjiashan yangko (a popular rural folk dance) from folk artists in their spare time for a few years. With a history of more than 200 years, the Yangjiashan yangko has been listed as a provincial intangible cultural heritage. 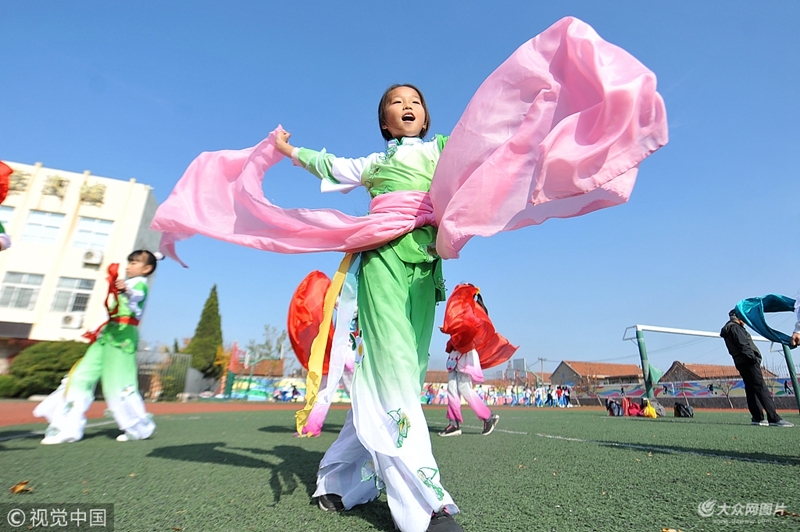 The art form of celebrating harvest in autumn originated from Yanjiashan village of Qingdao's Shibei district.